Located 2 minute’s walk from our beautiful main beach, 20 minutes West of Devonport Airport, "Willaway" is high quality 3 ½ star accommodation, only a short trip away from all the natural wonders of the North West of Tasmania. It's no wonder that "Willaway" is the perfect setting for your business trip or holiday. 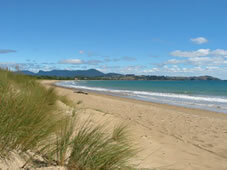 From the East (Devonport) - Take the first left exit off the highway into Ulverstone. Turn immediately left onto Eastland Drive, take the fourth right turn into Heathcote Street, then the next right into Alexandra Road, then the next right into Tucker Street, and there we are.!! From the West (Burnie) - Take the third left exit off the highway into Ulverstone. Turn immediately left onto Eastland Drive, take the fourth right turn into Heathcote Street, then the next right into Alexandra Road, then the next right into Tucker Street, and there we are.!! Willaway Motel Apartments is situated close to the beach, parks, and only a short walk to the main street of Ulverstone. Enjoy the quiet location, spacious areas, beautiful gardens and the sound of water from Buttons creek that borders the property. Each Apartment has 2 separate bed rooms that have a queen or double in one room and two singles in the other. Sofa and trundle beds are available on request. The lounge/kitchen and bathroom are all separate rooms from the bedrooms and all rooms are generous in size. 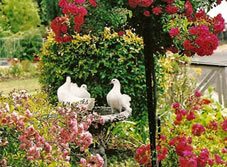 All apartments are self contained with full cooking facilities. There is an undercover BBQ area and a separate communal room to use for guests and their families and visitors. Willaway is centrally located to all areas of the North West Coast and offers an ideal place to base your self for your holiday experience. 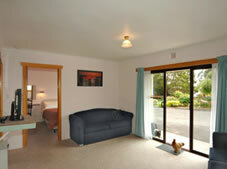 Willaway Motel Apartments really does have it all, location, style, comfort and ambience. Willaway Motel Apartments is situated close to the beach, parks, and only a short walk to the main street of Ulverstone. Enjoy the quiet location, spacious areas, beautiful gardens and the sound of water from Buttons creek that borders the property. Each Apartment has 2 separate bed rooms that have a queen in one room and two singles in the other. Sofa and trundle beds are available on request. The lounge/kitchen and bathroom are all separate rooms from the bedrooms and all rooms are generous in size. All apartments are self contained with full cooking facilities. There is an undercover BBQ area and a separate communal room to use for guests and their families and visitors. Willaway is centrally located to all areas of the North West Coast and offers an ideal place to base your self for your holiday experience. 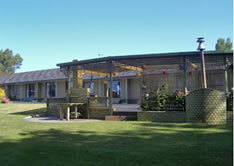 Willaway Motel Apartments really does have it all, location, style, comfort and ambience.